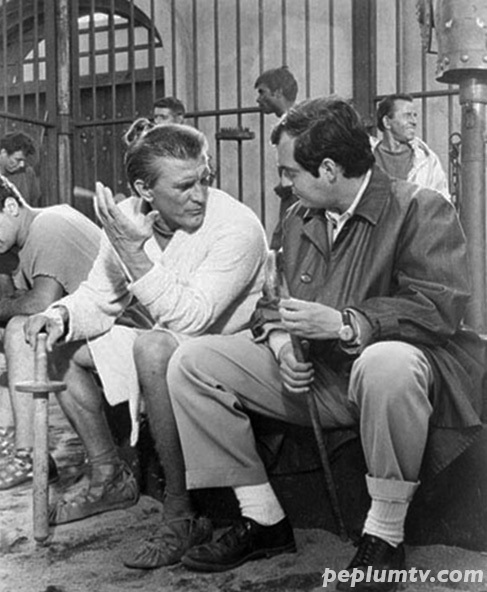 Kirk Douglas and Stanley Kubrick talk about the making of SPARTACUS. Kubrick replaced the fired Anthony Mann after Douglas and Mann didn't see eye to eye on the way the film was going. Kubrick apparently didn't care much for the script (and later disowned the film) but he wanted to help his friend Kirk at the time. Did Kirk produce the movie? Or as the main star, he had enough power to get rid of directors? Yes, Kirk was one of the producers.